Geofirma has extensive experience modelling the transport of dissolved species in the subsurface, in low and high permeability settings. We have done significant work in the field of radioactive waste disposal, where models are called upon to demonstrate the safety of the facility in terms of the dose of radionuclides that would be experienced by receptors at the ground surface. 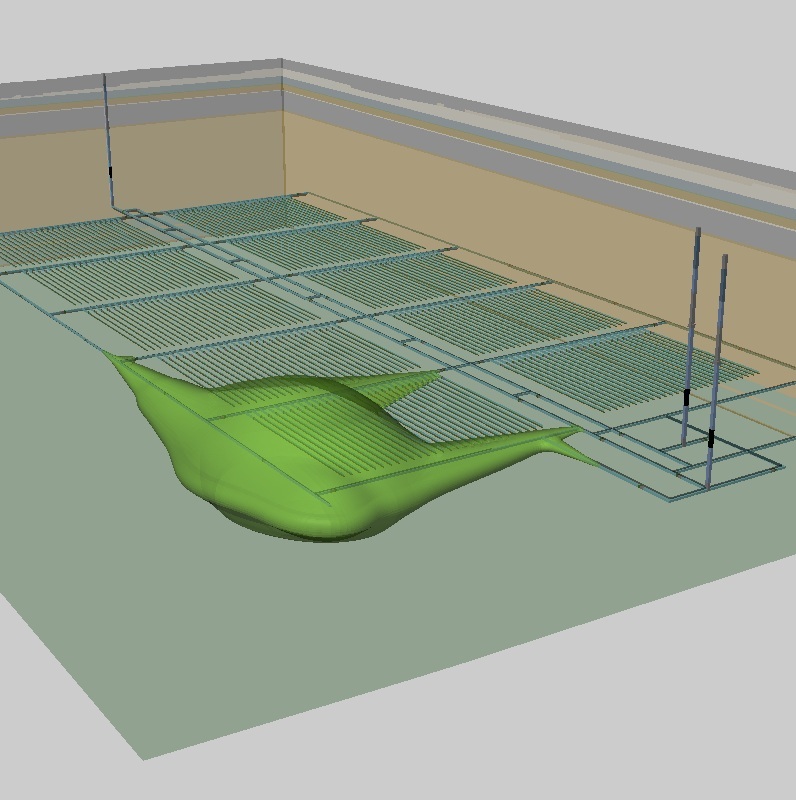 The modelling involves simulation of gas generation, re-saturation of the mined-out caverns, flow of groundwater within the tunnels and shafts, thermal impacts, sorption processes, and transport of radionuclides. We also have considerable experience in traditional contaminant hydrogeology, modelling the transport, sorption, and decay of organic contaminants, landfill leachate, and heavy metals in near surface hydrogeological environments. Geofirma scientists and engineers use models appropriate to the given problem, ranging from simple analytical models to detailed two and three-dimensional finite element and finite difference models of groundwater flow, gas flow, and contaminant transport, supported by our in-house code development and pre- and post-processors.